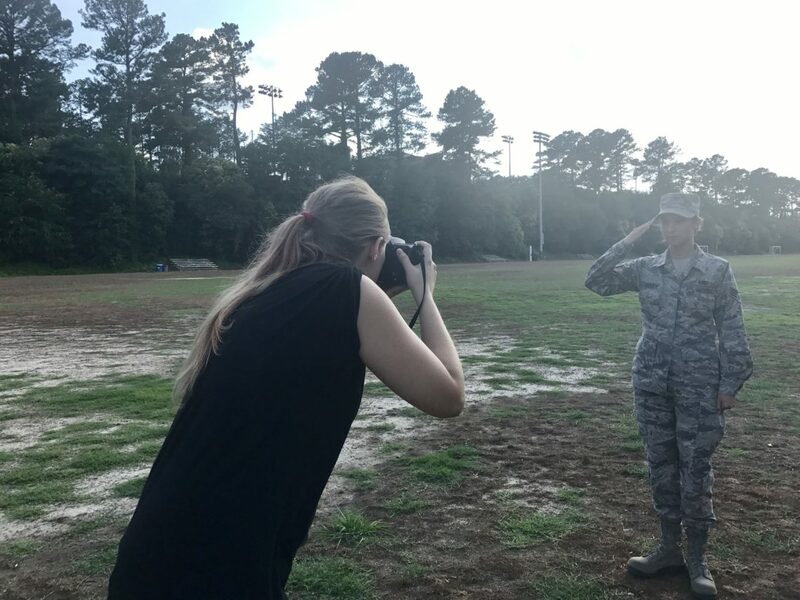 Wednesday June 13, on Miller Fields, Alyssia Hardy, a sophomore in electrical engineering, gives a military salute to Photo Editor Kaydee Gawlik during their portrait session. Hardy is an active member of the Idaho Air National Guard, and receives special permission from her unit captain to attend NC State University while on duty. 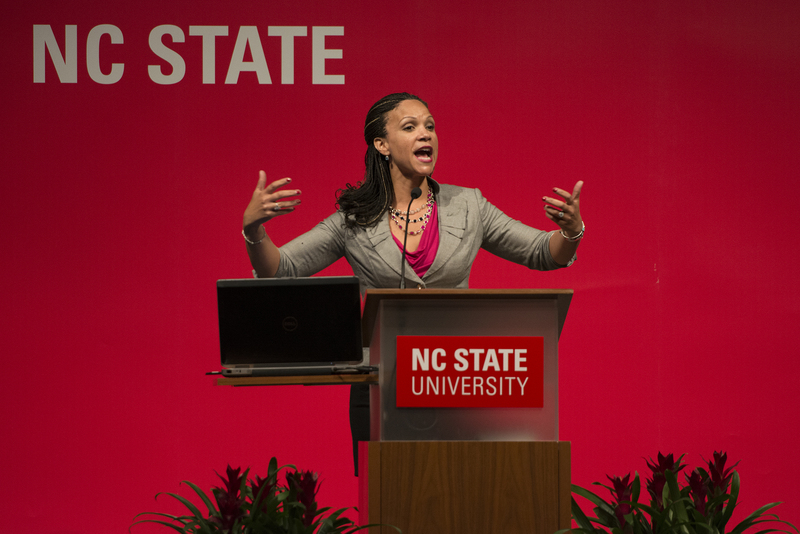 While pursuing a degree in electrical engineering, Hardy also makes time to be a part of NC State Cheer, and was a part of the team’s win of two national championships in Daytona, Florida at the 2018 NCA Collegiate Cheer Championships. Hardy will be featured in the 2019 Agromeck as a student profile for the month of April, which you can purchase here to read more about her awesome story!